Haunted by some small setup issues early on in the reset, it felt like new heroic kills were slipping out of grasp this week. 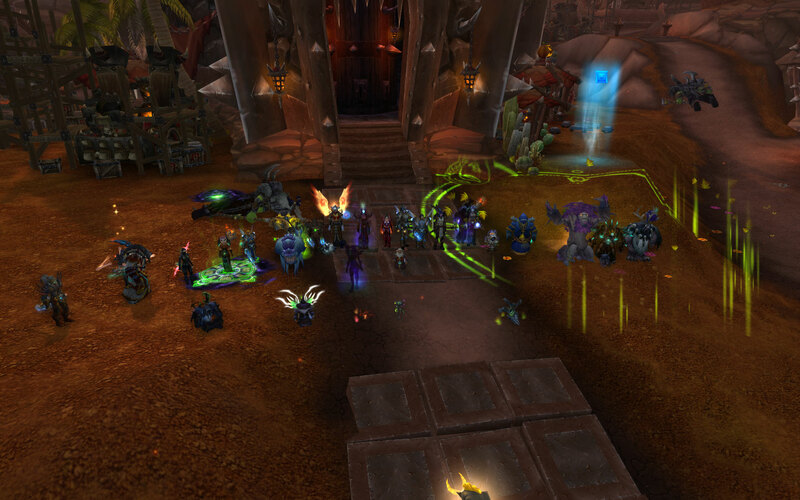 Farm bosses refused to get farmed, a few people played offspecs for the sake of filling the neccessary raid roles. Not the best week overall. However, later on we cought wind in our sails and got the right momentum. Most of the Sunday raid was spent toying around with Haromm and Kardriss, the Dark Shamans. best attempt had them at sub 10%, but things weren’t going smooth enough. Monday proved it was mostly due to suboptimal assignments and as soon as we tried the small ammendments we prepared overnight, things started to click right away, resulting in a smooth kill on the second pull. Sadly, this cought us slightly unprepared, thus we do not have a kill movie to share this time.